The default keyboard shortcut to activate Shortcat is Comd+Shift+Space. When activated, Shortcat will highlight the front window of the front-most application. Next, a small Shortcat query box will pop-up at the bottom of the window. From there you type a “.” which will then highlight all the accessible elements in the window. Okay, the plethora of highlighted areas in the above screenshot may seem a little overwhelming, but when you give it a try, you might find it pretty cool to be able to select an element without raising your hand off the keyboard. To activate an element, you type the corresponding letter or combination of letters, and then hit the return key. For example, if you wanted to activate the Search box in MUO, you’d type the corresponding “A” letter for the Search box. That highlight will turn green, and then you hit the return key to put the cursor in the box. So what about previewing or opening a file in the Finder? Well, it involves the same process. But to open the Shortcat highlighted file, you use the normal keyboard shortcut, Cmd+o. If you want to preview the highlighted file, you will need to first hit the Esc key to get out of Shortcat, and then hit the Spacebar to preview the file using Quick Look. This all may seem like a lot of steps, but apparently the more you practice this method, the faster you will become. Shortcat can also activate drop-down panels in the toolbar of applications. When a panel appears, you use the up and down arrow keys, plus the return key to activate those menu items. However, Shortcat does not highlight items in the menu bar that’s right at the top in any application. There are a few other features you should read about on the support page for Shortcat, including how to change the default activation shortcut, in Terminal, for Shortcat. In its alpha stage, Shortcat works well in Safari, Chrome, Skype, the Finder, X-Code, 1Password, Textual, and MarsEdit—the last application is the one I’m using to write this article. But the developer says Shortcat is incompatible or only partially works in applications like Twitter, Reeder, Sublime Text 2, and Sparrow. I found limitations also when trying to use Shortcat in the Rdio player, but it seems okay in iTunes. 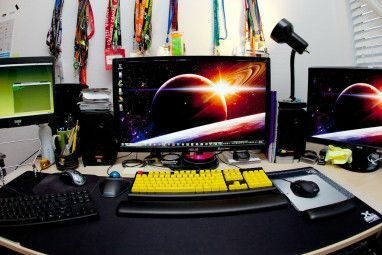 There are many Mac users out there who say they perform 90% percent of their computer activities strictly from the keyboard. I’m sorry to say I’m not one of them. However, as I wrote this article I did try to see how much I could get done without using the trackpad. I discovered that Shortcat alone would not be enough for me to meet the keyboard-only challenge. In addition to Shortcat, you will need to use as many regular keyboard shortcuts as possible for activating menu items in an application. CheatSheet Learn Your Keyboard Shortcuts Using CheatSheet [Mac] Learn Your Keyboard Shortcuts Using CheatSheet [Mac] If you're growing tired of constantly moving your hand back and forth from your mouse or trackpad to the keyboard in order to launch or quit an application, pause iTunes playing, or copy or paste... Read More is possibly a good tool for learning keyboard shortcuts. When installed, you simply hold down the Command key, and in about a second, a cheat sheet will pop-up with a listing of all the menu items and corresponding keyboard shortcuts for the application you’re working in. Another Mac application you will want to use is Alfred, or a similar application launcher. Alfred is useful for not only launching or activating applications, it’s also useful for launching files and searching and opening other content on your Mac, e.g., contacts and Calendar events. 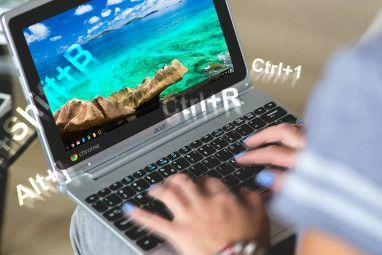 Since I heavily rely on computer automation programs like Hazel and Keyboard Maestro, I can take advantage of some hacks that enable me to also navigate on my computer and activate certain tasks automatically or with a few keystrokes. For example, using Keyboard Maestro, I created a macro that performed the three-step activation process for Shortcat. I can simply type “jm” and the macro will type the keyboard shortcut for Shortcat, plus the “.”. This is not say Shortcat is not useful. It can be very handy for navigating web pages where you simply might want to decrease your use of the mouse. For example, I’ll definitely be using it in WordPress to add URL links, instead of manually scrolling up to the WordPress toolbar to activate the link tool. Because it’s an alpha level, there’s more in store for Shortcat, so download it now and let the developer know what you think of the app. And let us know if you’re looking to become a keyboard Ninja. Lol, iceman, I feel where you're coming from. But if you're on the computer as much as some people, the mouse can get a little tiresome. Shortcat for example enables me now to sign-in to these comment posts, write my comments, and actually click the Post Comment button without putting my hand on the mouse. But I'm also using Keyboard Maestro with Shortcat, both of which saves me several clicks. Wow, evrything in mac can easily clicked without mouse then. Not quite everything, Boni, but it's getting there. what is the best alternative for windows. I love to learn shortcuts in every page i moved,not only for gmail like vrocket. I don't have a background in Windows, so sorry I can't be of much more help. Anything similar for Windows? It seems really similar to how the speech recognition works in Windows 7 (how it highlights elements and you say the number) so there must be something like that for the keyboard. This could also be a good accessibility feature. If you had some kind of disability that made using the mouse difficult, you could use this to navigate using the keyboard (and you can get special keyboards to make navigation easier too). Lee, you're exactly right. This may be very useful for people who have a handicap cannot do a lot of typing on the keyboard. hmm...just tried it and nothing happened. The mouse arrow just disappeared, that's all. Should I enable something? Or am I missing a step? Alexis, which app did you try using it with? Try it with Safari first. I think my favourite way of shortcut navigation through websites is Vimperator. It's a shame it only exists for Firefox. Thanks, Dino, I hadn't heard about Vimperator. Thanks for sharing it.